The website IFAA-INDIA.com (hereinafter ‘website’), is developed and operated by IFAA Fitness Academy India Pvt. Ltd., a company incorporated under the Companies Act, 2014, with its Registered Office at No-32, Spencer Road, Frazer Town, Bangalore, Karnataka (hereinafter ‘IFAA INDIA’)is offered to the user/s (hereinafter lsquo;visitor/s’) upon the terms and conditions that follow. The website and all content, material, information, suggestions, advice, names, text, graphics, pictures, logos, icons, images and links relating to IFAA-India.com, to its products and services or to third-party products and services (hereinafter ‘content’), is provided on an ‘as is’ basis, without any representation or endorsement made and without warranty or guarantee of any kind, whether express or implied, including without limitation, any warranty of merchantability, non-infringement of intellectual property rights, completeness, compatibility, reliability, accuracy, security, satisfactory quality, suitability or fitness for any particular purpose. IFAA INDIA does not endorse or subscribe to the suggestions, advice and views of the authors of the content. The visitor understands that except for the information, products and services clearly identified as being supplied by IFAA INDIA, IFAA INDIA does not operate, control or endorse any information, products, or services appearing on the website in any way. 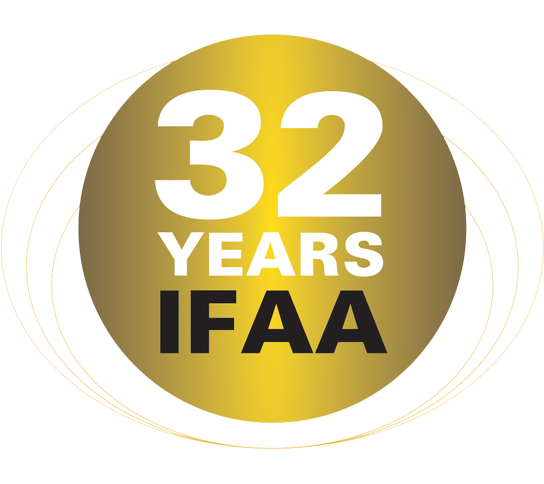 All other information, products and services offered through the website are offered by third parties, which are not affiliated in any manner to IFAA INDIA. IFAA INDIA does not warrant that the files available through the website (for downloading or otherwise) will be free of infection or viruses, bugs or other codes that manifest contaminating or destructive properties. IFAA INDIA does not warrant that the functions contained in the material available on or comprised in the website will be uninterrupted or error-free, or that any such defects will be corrected by IFAA INDIA. IFAA INDIA does not make any representation with regard to the full functionality, accuracy or reliability of the website or the server that makes it available. In no event shall IFAA INDIA or its content providers be liable for any damages whatsoever, whether direct, indirect, special, consequential and/or incidental, including without limitation, damages arising from loss of data or information, loss of profits, business interruption, or arising from the access and/or use or inability to access and/or use content and/or any service available on the website, even if IFAA INDIA is advised of the possibility of such loss. IFAA INDIA may change content at any time without notice. IFAA INDIA makes no commitment to update content. Any material, information or other communication that the visitor transmits or posts to the website shall be treated as non-confidential and non-proprietary. IFAA INDIA shall have no liability or obligation with respect to such material, information or communications. IFAA INDIA and its designees shall be free to copy, disclose, distribute, incorporate and/or otherwise use such material, information and communications for any purpose, whether commercial or non-commercial. The visitor is prohibited from posting or transmitting to or from the website any threatening, libelous, defamatory, obscene, pornographic, or otherwise offensive material, or material that would violate any law or sensibility of any person. IFAA INDIA shall not be liable or responsible in any manner whatsoever to the visitor for any consequences arising from violation of the foregoing prohibition. The visitor hereby grants to IFAA INDIA a non-exclusive, royalty-free, world-wide, perpetual license in respect of any material and information, including without limitation, ideas contained therein, that the visitor submits to the website by e-mail or by any other means and in any medium/s now known or hereafter developed, including the right to sub-license, reproduce, distribute, transmit, create derivative works from, or publicly display and/or perform such material and information. The visitor also grants to IFAA INDIA the right to use the visitor’s name in connection with the material and other information submitted as well as in connection with any advertising, marketing and promotional material related thereto. The visitor agrees that the visitor shall have no recourse against IFAA INDIA on grounds of any alleged infringement or misappropriation of any proprietary right in such information and communication. The website is controlled by IFAA INDIA from its principal offices within the geographical boundaries of Bangalore, India. IFAA INDIA makes no representation that the content is appropriate or available for use in other locations. Access to the website from territories where the content is illegal is prohibited. Visitors who access the website from other locations do so at their own initiative and risk and shall be responsible for compliance with applicable local law. The content on the website is provided by IFAA INDIA as a service to the visitor and may be used for informational purposes only. The content does not constitute, and shall not be construed as, financial, investment, taxation or legal advice to the visitor. IFAA INDIA’s objective is only to keep visitors better informed and help them decide for themselves. IFAA INDIA does not accept responsibility for any investment decisions made by visitors on the basis of content. IFAA INDIA shall not be liable or responsible in any manner whatsoever to the visitor or to any third party for any consequences, including without limitation financial consequences, arising from use of the content. Content is protected by copyright, trademark and other applicable law/s. The owner of copyrights, trademarks and other intellectual property rights therein are IFAA INDIA, its affiliates and/or other third party/ies. Nothing herein contained shall be construed as conferring upon the visitor, by implication, estoppel or otherwise any license or other right in respect of intellectual property comprised in the content or any part thereof. The visitor shall not alter, modify, de-compile, dis-assemble, copy, reproduce, republish, upload, post, transmit, or distribute content in any manner whatsoever. The visitor may print and download portions of content, where permissible, solely for the visitor’s personal non-commercial use and provided the visitor agrees not to change or delete any copyright or proprietary notices from such content. IFAA-INDIA.com contains many links to other sites on the Web. IFAA INDIA cannot control and are not responsible for the privacy practices or content of such other Web sites. IFAA INDIA reserves the right to change these terms and conditions at any time by posting changes online. The visitor shall be responsible for reviewing regularly such information posted online to obtain timely notice of such changes. Continued access and/or use of the website after the changes are posted shall constitute acceptance of the modified terms and conditions. IFAA INDIA reserves the right to bar access to the website for any visitor/s or to terminate subscriptions to specific service/s available on the website, at its sole and absolute discretion, without requirement of assigning any reason thereof and without any liability whatsoever. The access and use of the website and these terms and conditions shall be governed by and construed in accordance with the laws of India. Any disputes arising herefrom shall be subject exclusively to the jurisdiction of the courts of law at Karnataka, India. If these terms and conditions are not accepted in full, the access and use of the website must be discontinued immediately.